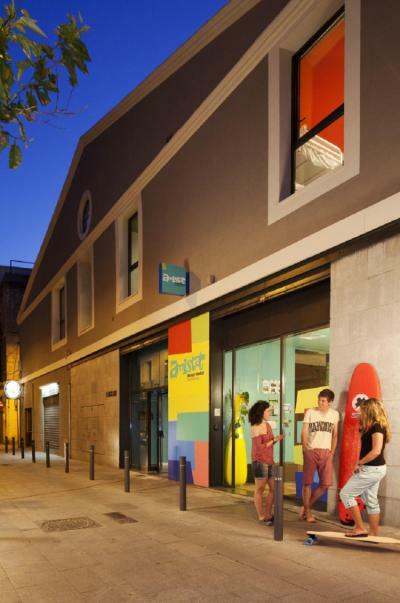 Barcelona – Hostels in Barcelona. Maps for Barcelona, Photos and Reviews for each hostel in Barcelona. 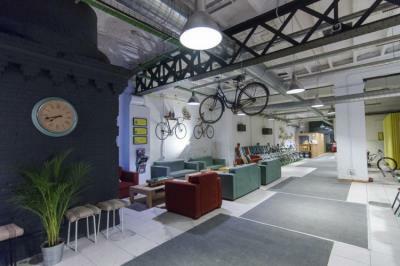 Looking for a hostel in Barcelona? Look no further, all the good deals in Barcelona are on Dorms.com. Like thousands of other people every month, book your hostel securely at the best price in all neighbourhoods of Barcelona. 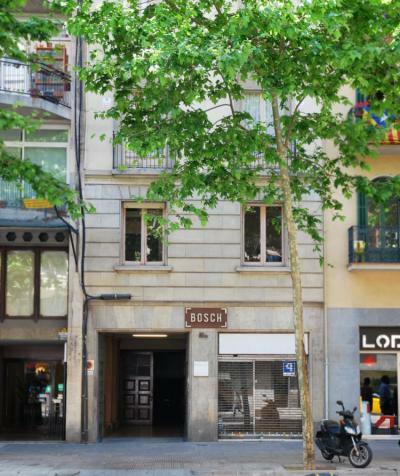 On this site, you can easily find a hostel downtown, in a trendy neighbourhood; a hostel in the student- university district, close to bus or train stations, airports or major attractions of Barcelona. 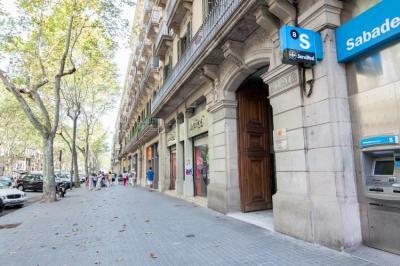 The hostel is only a couple of minutes walking distance to the main square Plaza Catalunya and the main streets, La Rambla and Passeig de Gracia. Within the same block of the hostel guests can find 24 hours supermarkets, bars, restaurants, and all public transportation (bus, train, metro). In a radius of 35 minutes walking distance 90% of the monuments as well as the beach are reachable, e.g. Casa Batlló 7 min, Casa Mila 12 min, La Sagrada Familia 30 min, La Rambla 3 min, Plaza Catalunya 2 min. Barcelona Bed & Bike is located in the Eixample district , a strategically well located and quiet area which to explore easily the magic of the city. We are just 5 minutes walk from the “Sagrada Familia” and 10 minutes from other places like Las Ramblas , Plaza Catalunya , Arc de Triomf , Born or Barceloneta . Very friendly staff, located right at placa catalunya but still quiet enough to have a good sleep. I would definitely stay there again. Location is really excellent. Small and cozy. Quite ecofriendly. I think the common spaces are fine but the room was too small in terms of value for money. As for the availability of the bikes, it is a type of bike that is not comfortable for a practical and safe mobility in the city. I think you can not sell the availability of bike and then limit the use of the bike to a schedule and provide a type of bike so specific, it is an impractical bike for a safe urban mobility. Needless to say that during my first day of stay there was no hot water. The staff that looks after it is fine but they were the ones directly responsible for the center. Great place with events for all tastes. Bike rental very accessible. Staff at the top. Small flat in our opinion, the roof top terrace closes much too early ... (21h). Two nights spent at this hostel with our 5 year old daughter, she loved it. Impeccable home, large room, spacious common areas (except perhaps the bathroom). Safe place. 5-10 minutes from the Sagrada Familia, two metro lines. All shops and services 2 steps. 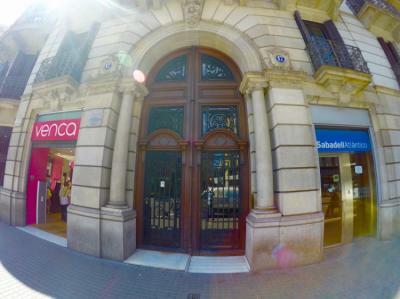 The ACYH is right in the heart of Barcelona, just a few steps from the famous street "Las Ramblas" and the main square "Plaza Catalunya", which is the last stop of the airport shuttle bus. Main attractions like "Casa Batlló" or "La Pedrera", public transportation (airport shuttle, metro, bus, train), 24h supermarkets, bars and restaurants are all reachable in a short stroll form the hostel. 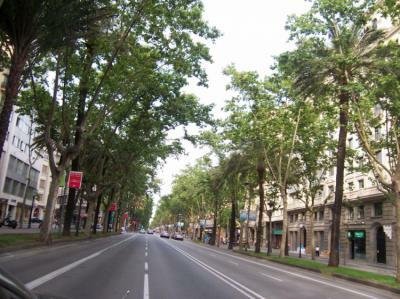 You can even walk to the beach in 30 minutes going down the beautiful and world famous La Rambla. We're 5 minutes from Plaça Catalunya, 1 minute from El Born trendy neighborhood, 15 minutes from Sagrada Familia, 20 minutes from the Beach! The place was so nicely organized, clean and welcoming! I would definitively go back. The situation of the hostel is also amazing: walking distance from most interesting areas. The fact that it was open 24h was very convenient - life goes on "late" in Barcelona, so you need to be able to get back at late times, while respecting your co-guests. And that was totally possible! The staff was welcoming and always ready to help. I loved my visit to this hostel. The staff are super friendly (the 2 Juan are excellent guides and they recommend great places), the hostel is clean and the wifi stable. I would come back without hesitating. Sarrià-St. Gervasi is a great choice for travelers interested in monuments, museums and city trips. You can reach Sagrada Familia in 30 min by walking and it is only 3 stops from the metro Hospital Clinic (8 minutes by walking from our hostel). Only 15 minutes by walking you will find one of the largest shopping mall in Barcelona called L'illa Diagonal. This is a great hostel to know the city. To get to Placa Espanya it takes only 16 min by bus! The hostel is close to shops and transport on the 4th floor. Kitchen and WiFi included, breakfast ok. Only downside, the bathrooms where the temperature and water pressure is to be reviewed. Clean rooms sometimes a little desired. Good hostel for a short stay. The people at the reception were very kind and helpful. Bathrooms should be cleaned more often (2 times per day at least). The big banón of the 5th floor has a bad smell permanently. This hostel is perfectly adequate for its price but you can find better. There are only 2 showers, and the toilets are in the same room as the showers, which is a problem at peak hours at the showers. The dormitory of 4 mixed was small for 4 people. The breakfast was simple and too incomplete for my taste. On the 3rd floor, no elevator when jny stayed, it is difficult with the suitcases. 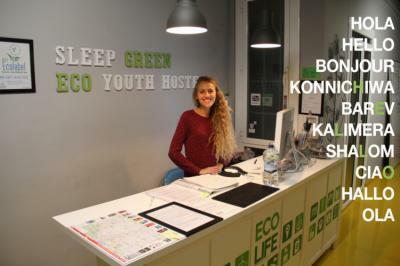 The hostel is very well located the services offered are excellent and the price / quality ratio is great I recommend it for all young people who want to enjoy Barcelona. Easy to find. The staff is very friendly, nice and close. Very complete in the facilities with several spaces to rest and hang out, the kitchen is well equipped although the refrigerator can be a little small if there are many people at once. The room we were in was ten people and there was enough space for everyone. The staff is really kind and friendly. They really want you to have a good time there! Our guests think the hostel has a perfect location, placed in the center of Barcelona and within 15 minutes walk from Plaza Catalunya and Las Ramblas. Also very well and easily connected with the airport, the AirBus stops 30 meters away from Bird House, at "Gran Via-Urgell". The staff was lovely, but we were cold the first night because they did not give us blankets; the room smelled bad and you could not open the window to ventilate, and it lacked a cleanliness. My stay at the hostel with my sister went well overall, the staff is very pleasant. We stayed in a female dorm, meetings are generally enjoyable. the staff are too kind, the rooms clean and well equipped, the price-quality ratio is good, the location is nice (subway, old city, ...) I recommend for young people. This hostel feels new so it is nice to stay there. Friendly staff. I like this hostel in Barcelona because the rooms are nice and clean.